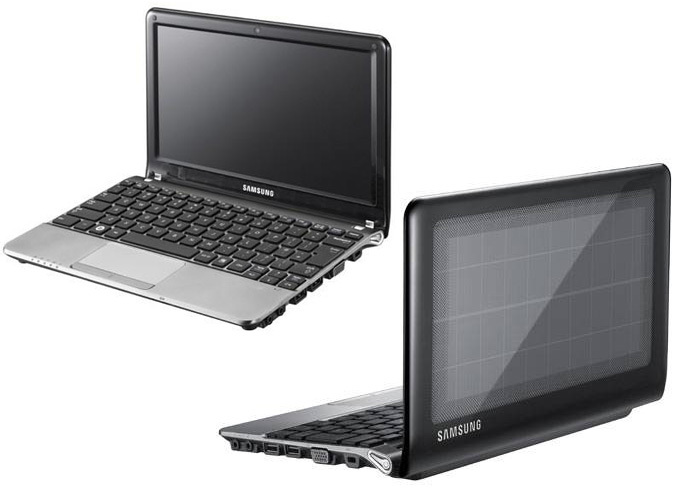 Here is another interesting solution on the laptop market, a solar powered netbook from Samsung called NC215s1. The 10.1-inch netbook is equipped with built-in solar cells on its back lid, which will give you an extra work time when the battery runs out. Spec-wise this laptop comes with LED-backlit (1024 x 600) display and is boosted by an Atom N570 (dual-core) processor paired with 1GB of RAM, GMA 3150 integrated graphics and 250GB HDD. The standard connectivity options are included too – 10/100 LAN, WiFi,802.11bg/n, Bluetooth V3.0 along with a 6-cell battery, which Samsung claims can allow up to 14 hours of operation.